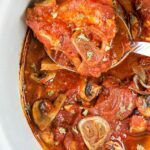 Slow Cooker Chicken Cacciatore is cooked in a crock pot; is saucy, hearty and requires only 5 main ingredients!! 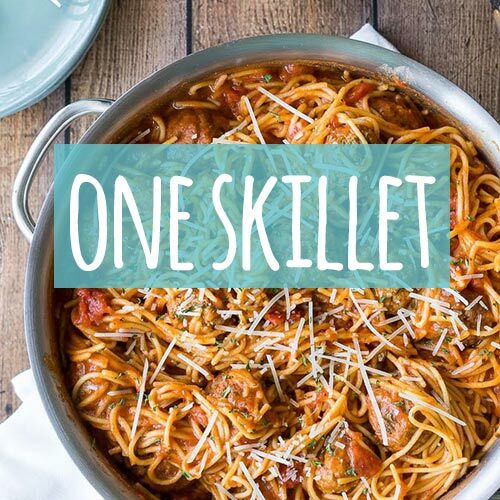 Hard to beat this comfort food that practically cooks itself. 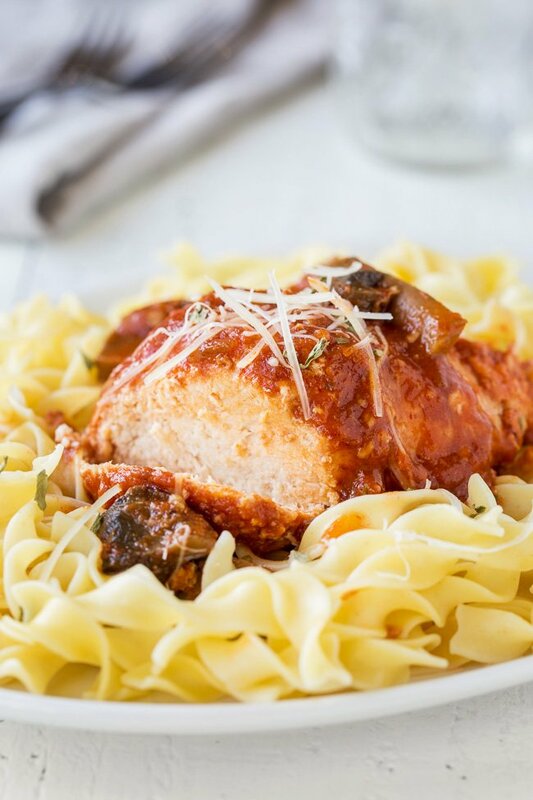 Slow Cooker Chicken Cacciatore is a fantastic family dinner when served over a bed of warm egg noodles. 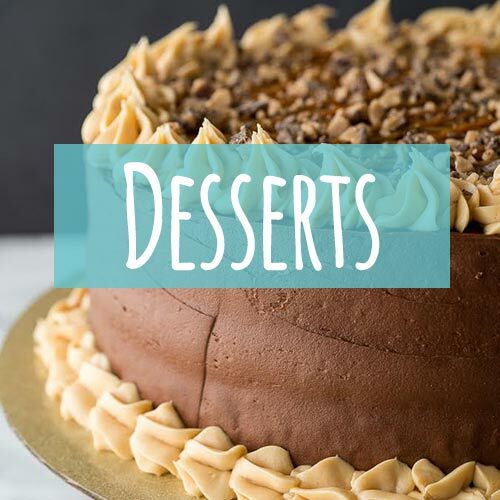 Now that weather is cooling down and days are getting shorter, it’s time to dust off that slow cooker of yours and put it to work. Today, we are making hearty and saucy chicken cacciatore. 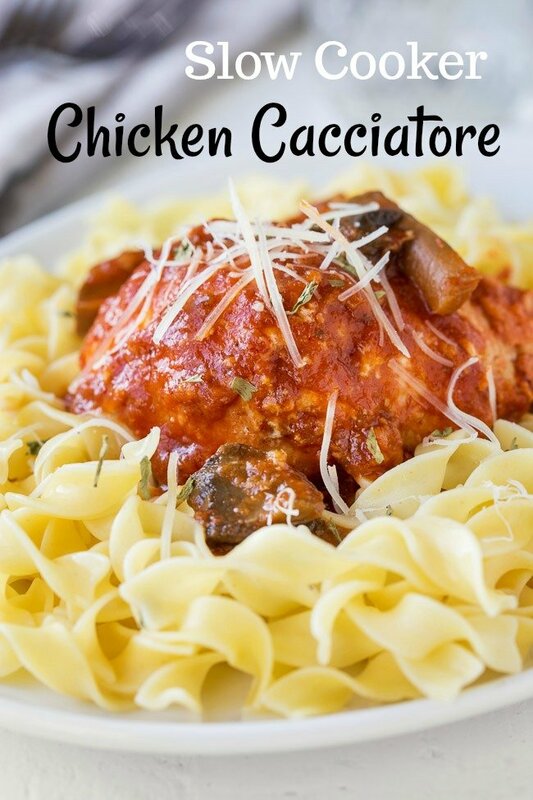 But what is chicken cacciatore, you wonder? Well, to me, chicken cacciatore is any kind of braised chicken dish. Stick-to-your-ribs hearty, saucy braised chicken. When translated from Italian, it means hunter-style chicken. And you can interpret it however you like. Most recipes for chicken cacciatore call for bell peppers, tomatoes, mushrooms, onions, and of course, chicken. And my version of chicken cacciatore isn’t much different. Today’s chicken recipe is cooked in a slow cooker, which means it requires minimal hands-on time! Dinner practically cooks itself!! Only 5 main ingredients!!! Every ingredient is here for a reason. Each one adds flavor and play a key role. You can add ingredients, like bell pepper, but please don’t remove anything and expect a good result. A few words about chicken. Use only chicken thighs, not breast meat. Because we’re cooking this dish in a slow cooker for extended period, chicken breast comes out dry and awful. I tried it, and believe me, it wasn’t a winner. Darker meat cooks much better! Oh and you can throw in those frozen thighs without even thawing!!! Now, that’s a winner in my book. When preparing this chicken cacciatore, I like to layer the ingredients in certain order. First goes chicken thighs, season them with salt and pepper. Then evenly spread garlic and onion slices over the chicken. Top everything with mushroom slices and then pour the pasta sauce over the mushrooms. And that’s it! No need to stir or mix anything, just cover and cook for 3-4 hours on high, or 7-8 hours on low. And when ready to serve, cook some pasta and serve with some fresh parsley and parm cheese. Voila, delicious dinner is ready to be devoured! 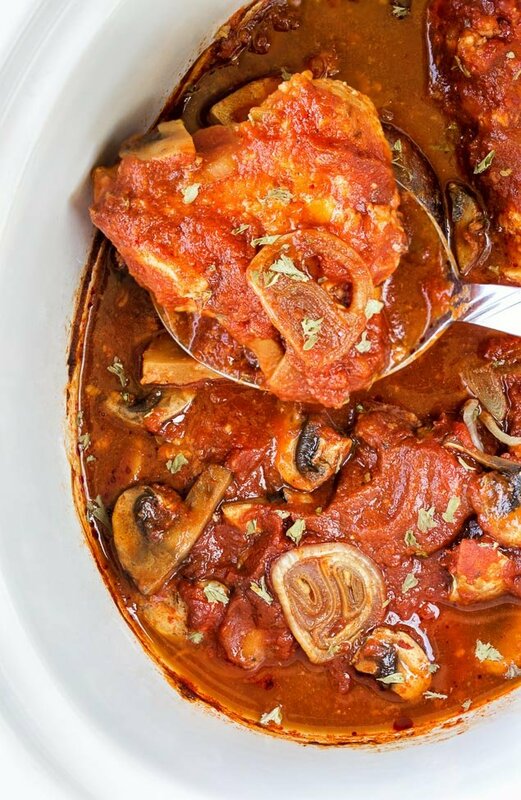 This hearty and saucy chicken cacciatore is cooked in a slow cooker and requires only 5 main ingredients!! Hard to beat this comfort food that practically cooks itself. 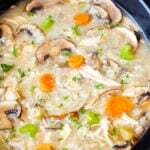 Place the frozen chicken thighs on the bottom of the slow cooker in one layer. Season with salt and pepper. Evenly spread pressed garlic and shallot over the chickens and then add the mushrooms. Pour pasta sauce evenly over mushrooms. Cook on low for 7-8 hours, or on high for 3-4 hours. When ready to serve, cook pasta of your choice according to package directions. Garnish the chicken with parsley and parmesan cheese and enjoy! Have frozen bone-in, skin on thighs. Can I use these instead?? Or, should I just defrost first and then de-bone and remove skin first? I’ll have to put off cooking it til tomorrow if I must defrost. Thanks! 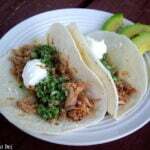 You could use the bone-in skin on thighs for this recipe. I think that would work just fine! 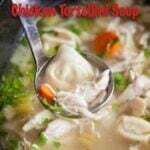 Easy to make, it’s in my crock pot now. Didn’t have mushrooms, so used carrots. Also using jared vodka sauce that all I had. Going to make pasta to finish it up.